The British Compressed Air Society (BCAS) has announced the appointment of Jason Morgan as its new Vice President. 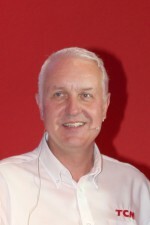 Tony Wilson, of Parker Hannifin, had been undertaking this role, but with his forthcoming retirement at the end of August this year, the position had become vacant. Jason has therefore agreed to take on this important function within the BCAS board. Morgan, who has been managing director of HPC since 2013, will be taking up the role for the next few months, working with the BCAS board for the remainder of James Maziak’s current term as President. In November, Jason will then transition to the role of BCAS President when James steps down at the BCAS ball in November. 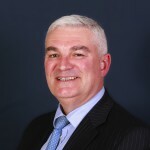 RED LION CONTROLS, a global expert in communication, monitoring and control for industrial automation and networking, has announced the appointment of Bruce Macpherson as vice president of sales for the EMEA and SAARC regions, where he will oversee customer relationships and business growth. Prior to joining Red Lion, Bruce was MD for SMAC, he will report directly to president Jack Lee and will serve on the company’s leadership team. OVAKO reports it is launching a new seamless tube M-Steel 280 offering component design and machinability advantages at Tube 2016 and also introducing new sizes of its ultra clean SR-100 Wire.Ovako says as a leading supplier of seamless tube to the engineering and automotive industries, it is one of the world’s largest manufacturers of seamless tube for the bearing industry. At this year’s Elmia Subcontractor exhibition in Sweden, OVAKO demonstrated its new Steel Navigator - an exciting digital platform that allows customers to search and find the most suitable steel for their application. After logging on, customers can search for specific steel grades, by combining searches on steel group, quality, process type, product and chemical composition.